Market & Event Selling 101: How Do You Know You're Ready to Start? Let's Sell! 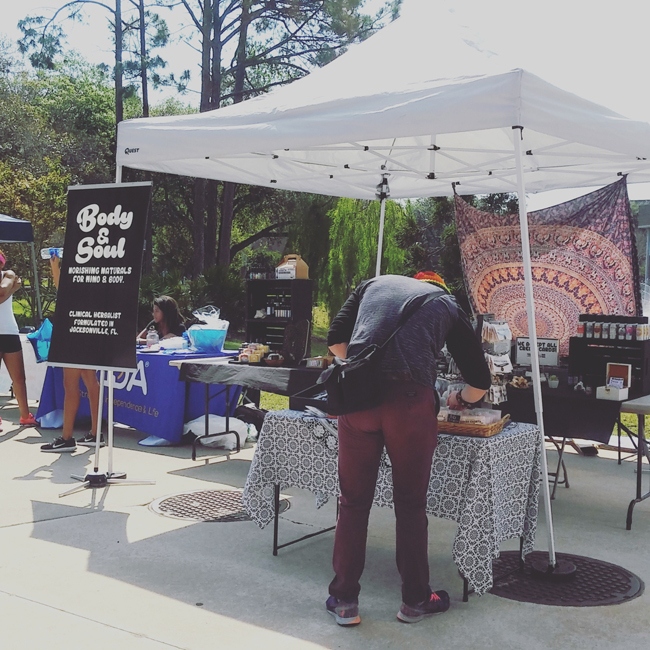 Selling your wares at outdoor markets, expos, and events can take your business to the next level. 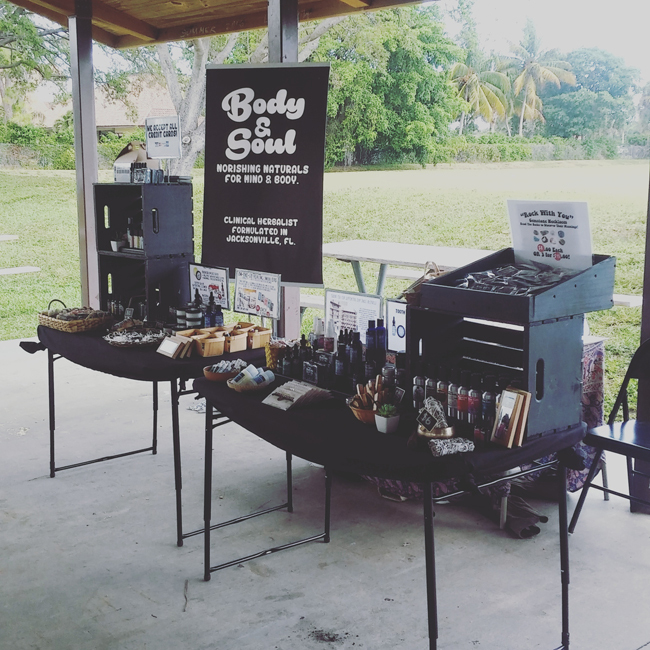 I started "officially" selling my natural body care products around March 2015. We kept adding events and pop-up shops wherever people would let us; you have a spot, we have a table! This helped us grow our business from a traveling pop-up shop to having our own brick and mortar location! And we're not stopping our traveling herbal pop-ups anytime soon! It's a keystone for our business and we've gotten really good at it, learning the pitfalls and ups-and-downs the hard way the past couple of years. In this series, Market and Event Selling 101, I want to share tips on how to be successful selling at markets. 1) Product Made: Whatever you're selling needs to be done BEFORE you start. I know this sounds like a no-duh, but a lot of beginners (myself included, 10 years ago!) sign up for markets and then try to hustle to make products to sell quickly right up to the deadline! I've used markets as deadline makers, but only when my work is at least half-done and I know I have what I need to finish! Take your time, streamline your wares, whatever those may be, before even thinking of signing up. Take as long as you need. 2) Abundance of Products: Of course there are exceptions, like if you're at a book sale and just need to sell a few of your self-printed books at $50.00 each to make a profit, but in most cases, you need a lot of stuff on that table to do well! Do your inventory and make sure you have enough to make a profit after fees, gas, food, and all other expenses. 3) Basic Signage and Cards: You DON'T have to be fancy or expensive here. I've seen people do well with hand drawn signs on wood, chalkboard, etc. You can hand-write or stamp cards and those will work fine, just be sure to have both to take advantage of your event for marketing purposes. An under-awning event (yay, no tent needed) we traveled 5 hours for! We made it compact for that purpose. You'll learn to switch things up depending on where you're setting up. 4) Newsletter Ready to Go: Markets are the #1 way we grow our newsletter list. Make a sheet so customers or would-be/future customers can sign up. 5) Basic Table and Cloth: All you need is one table and cloth to cover it to get started. If you're going to be in the sun a canopy tent or even an umbrella may be needed. If you can't afford a canopy some markets offer rentals, have extras, or have space under trees or awnings where you can set up so call and ask in advance for that information. 6) Optimism & Happiness: You may not sell a single thing your first time, in fact, that's pretty common! Each market is an opportunity to learn what people respond to, what they like and don't like. Don't go in looking to sell or looking at people simply as dollar signs. Just go in happy that you have an opportunity to put your wares out there. Take note of people's advice or how they respond and make real connections. These six tips I feel are all you need to start selling at outdoor markets, expos, and pop-up events. Of course it gets more detailed from here and we'll go into that in future posts. Do these events for the experience, learn and grow from it and improve each time! If you go with the expectation to sell out you'll be disappointed, go in only with the expectation to proudly display your best work and have fun and you'll be a success! Any basics tips for beginners if you're a seller? What about advice for us sellers as frequent shoppers? Let's discuss in the comments! Yep that's a good one! Dare I say it may be an essential one. I put the prices on signage AND on little chalkboard clips by the items too because people will often overlook one or the other and I make info charts on each line since I'm selling things like tinctures/bitters etc. that many haven't heard of. Happiness for sure. There's nothing worse than a sour-faced vendor that doesn't greet customers and act like they're an inconvenience. If vending makes them so miserable, than don't go to shows. It's that easy! Also, not having price tags on stuff drives me nuts and is super bad for sales. No one wants to have to ask "how much is this" every 10 seconds. If I do have to ask over and over, I usually just leave the booth. I'll update the post, thanks for the feedback on the prices :) I treat everyone the same even if they're just there to look, the scents of my products are uplifting and make them happier. People remember when a vendor is grumpy and sometimes they don't come back! Thanks so much for being so generous with sharing these tips, Vanessa:) My goal someday is to be able to sell my knitting and sewing items in a market, and these tips are really helpful. And that's good to know about not being able to sell stuff right away in the beginning. Glad it helps :) Some people get lucky and hit it out of the park the very first time. My first season of markets I was 21 and didn't make profit, then later I did well my "first" time with vintage AND soap then bombed my first time just doing soap and now I make my full living with the soap and body care goods. It's all a process, but a fun one. Hell yes to gratitude, and looking back on how far you've come versus how far you have to go helps too. Thank you for sharing this awesome advice, Vanessa! I've never done a show before, mainly due to not having enough products. I have mentioned that I'm planning an "open studio day" where people can visit and hopefully also buy. I'll need to remember that about the newsletter list! Yep, that's the best way to get 'em with the newsletter list :) Open studio day sounds like so much fun! I haven't done many shows in a while (they just don't really work for me in Hawaii for a variety of reasons, including a prevalent "yard sale" type mentality), but I did before I moved to Hawaii. For me a big, important thing was making sure my tables were fully inside my tent or booth area, not at the edge. I'd try to use two folding tables and then either a different table, book shelf, or something hanging from my tent on the third side to make a "U" shape that invited people in to my little store. I noticed that, especially at crowded holiday markets, having a space where people could step in and not block the flow of traffic really made a difference!